This pattern a pattern block, not a completed pattern. You can use this block to create your own stylish designs, by manipulating the pattern block as you please to create a range of designs. The style itself is a Basic Trouser Block. 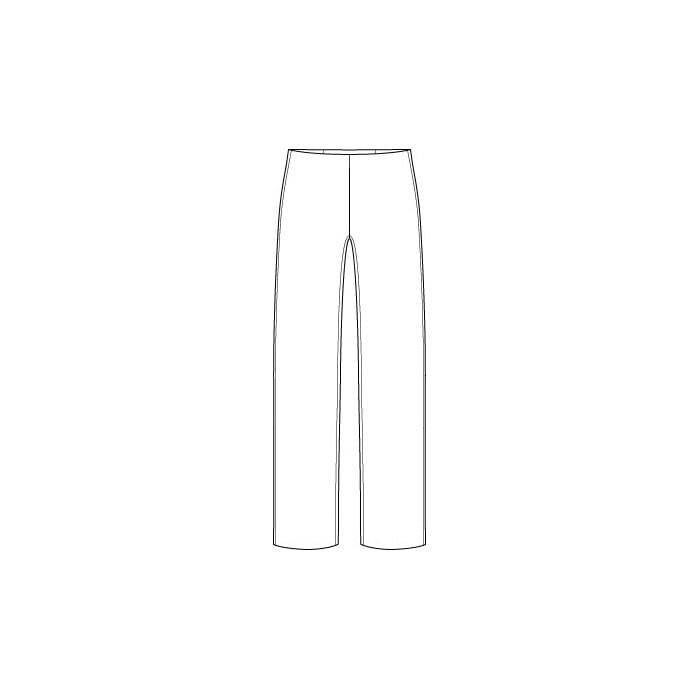 The trouser block is a basic slightly tapered leg block. It features a flat front and a back dart to take up the excess fabric at the waist. There is no change in the inseam, the inseam is for a regular leg, adjust as required. The ease included in the pattern is 1 inch (2.5cm) at the waist and 2 inches (5cm) at the hip. 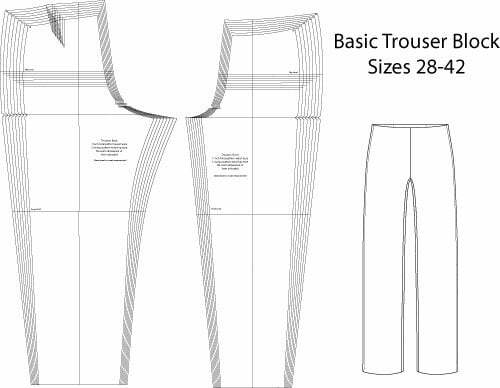 The patterns included are size 28, 30, 32, 34, 36, 38, 40, 42 (see size charts - based on waist size), so please check the measurements carefully. These are FULL SIZE patterns (this is an all in one/multi sized pattern so you can adjust the pattern should you be an in between size, and cut the size you need).